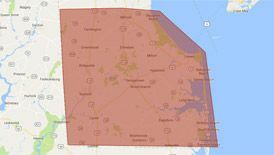 Do you need furnace service in the Delaware/Maryland area? Peninsula has more than 75 years of experience installing, servicing, and repairing furnaces for your friends and neighbors in this region! You can depend on us for reliable, quality service. Contact us today for furnace service. We install and repair furnaces of all kinds—gas, oil, and propane. Each type has its own unique attributes. Oil furnaces – Oil furnaces are known for their reliability and long lifecycle. Most new oil furnaces have an AFUE rating of around 83, which means that 83 percent of the fuel they consume is turned directly into heat! An oil furnace is a convenient choice for homes without access to a natural gas line. Propane furnaces – Propane furnaces can have an AFUE rating of 95 or higher. Their compact size makes them versatile and easy to install in a variety of areas, and, like oil furnaces, they are a good option for rural homes that lack access to natural gas. Peninsula offers propane delivery service in Delaware and Maryland. Lack of heat – When your furnace stops heating, life at home gets miserable! A number of issues can cause your furnace to stop heating. The thermostat may be broken or improperly set, a fuse or circuit breaker may be blown or tripped, or there may be an ignition failure. Inadequate heat – Sometimes a furnace is heating a bit, but not up to full capacity. This can mean that the furnace’s filters are dirty and need replacing, or that dirt or some other obstruction is impeding the flow of heat. Turning on and off too often, or never turning off – If your furnace keeps switching on and then off, far more frequently than usual, it may be signaling a thermostat or blower motor problem, or perhaps a dirty air filter. If the furnace is going continuously, your thermostat may be incorrectly set, or the furnace’s fan limit control switch might be failing. These are just a few of the problems you may be experiencing with your furnace. Necessary repairs vary depending on the make, model, and type of furnace. If you suspect you need furnace repair in Delaware or Maryland, call us at 302-629-30014302-629-3001. Furnaces are safe to use when they are properly installed and maintained. It is HIGHLY recommended that you have your furnace inspected and serviced at least once a year to keep it clean and free of potential hazards. 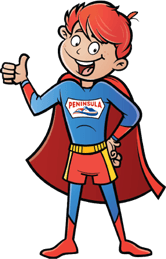 Peninsula installs natural gas, oil, and propane furnaces throughout the Delmarva region. If you need a new furnace, please contact us for a free estimate. Don’t forget to check out our specials and coupons!